Following last week’s statement by Republican Presidential hopeful Ted Cruz that ICANN CEO Fadi Chehadé was misleading the U.S. Senate over Wuzhen Conference, the Senator to gether with Sen. James Lankford (R-Okla.), and Sen. Mike Lee (R-Utah) have written to the ICANN Chair Steve Crocker demanding a more accountable response to the Senate. 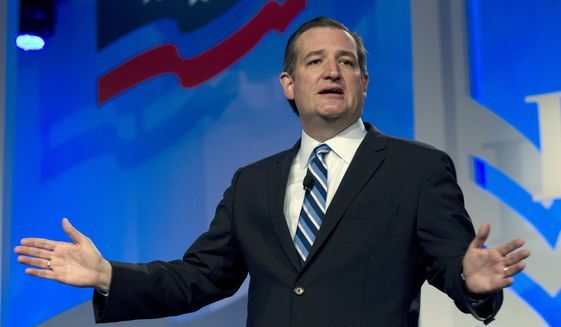 Cruz has previously criticized Chehadé for his participation with World Internet Conference, a conference organized by the Chinese government and asked Chehadé some pointed questions about his role and when it began. Last month, we sent you a letter stating our concerns regarding ICANN CEO Fadi Chehadé’s participation in the Chinese-government-sponsored World Internet Conference. Mr. Chehadé’s participation resulted in an agreement to co-chair a high-level advisory committee for the conference, which could make ICANN complicit in the Chinese censorship regime. Since sending our letter, additional evidence has come to light suggesting that ICANN’s relationship with the Chinese government may be a systemic problem within the organization itself and not limited to a single individual. A review of the past few years reveals that ICANN may have a direct operational relationship with the Chinese government. As you know, in April 2013, ICANN hosted its 46th public meeting in Beijing. According to your remarks, one of the hosts of ICANN’s meeting was Mr. Shang Bing, Vice Minister of the Ministry of Industry and Information Technology. As you must be aware, the Chinese government’s Ministry of Industry and Information Technology (MIIT) is not only a central component of China’s censorship regime, but it has pressured American companies such as IBM, Microsoft, and Apple to reveal their products’ proprietary source code to ministry officials. Just recently, MIIT issued new regulations that will restrict foreign companies, including those based in the United States, from sharing digital content ranging from text to games to video. ……The letter has also given a list of questions for Crocker to clarify no later than 9:00 a.m. on Friday, March 11, 2016. 1. Please state when you first learned that ICANN CEO Fadi Chehadé had agreed to co-chair a high-level advisory committee for the Chinese government’s state-sponsored World Internet Conference. a. Please provide a yes-or-no answer to the following question: Did you agree with Fadi Chehadé’s decision to co-chair a high level advisory committee for the World Internet Conference? b. Did ICANN’s Board of Directors approve of Fadi Chehadé’s decision to co-chair a high level advisory committee for the World Internet Conference? c. Did any member of ICANN’s Board of Directors ask Fadi Chehadé to step down from his position as CEO and President of ICANN? d. Please provide the meeting minutes, attendance records, and all other documents associated with ICANN’s Board of Directors’ meeting(s) with Fadi Chehadé in which his commitment to co-chair a high level advisory committee for the World Internet Conference was discussed. 2. Please provide a yes-or-no answer to the following question: It has been reported that ICANN’s Board of Directors took no action against Fadi Chehadé because “[t]he view eventually prevailed that no reactive action should be taken lest China lose face.” Did ICANN refrain from taking action against Fadi Chehadé due to concern that China may lose face? 3. Fadi Chehadé has been called on to recuse himself from all discussions and negotiations pertaining to the IANA transition given a confirmed personal conflict of interest with the Chinese government. Has ICANN taken any action to ensure that Fadi Chade will recuse himself from the IANA transition? If no, please describe the reason for ICANN’s inaction. 4. During ICANN’s 46th public meeting in Beijing, Fadi Chehadé stated, “China is going to be a central part of where the Internet community, as we know it, is heading. And, therefore, in my clear discussions with the local responsible ministers, that from ICANN’s standpoint, engagement with China is not an option. It is not an option. If we do not engage with China at every level of our community, we, frankly, lose a part of our global legitimacy. We must and we will. And that’s why we’re here today.” Do you agree with the statement that ICANN will lose part of its global legitimacy if it does not engage with China at every level of the community? a. Did CNNIC invest human and material resources in the construction of ICANN’s global engagement office in Beijing? b. Is CNNIC actively carrying out the functions, coordination, communication, or operation of ICANN’s global engagement office in Beijing? c. Do any individuals associated with CNNIC or the Chinese government have a formal or informal role in ICANN’s global engagement office in Beijing? 6. ICANN currently lists the address for each hub office and engagement office on its website except for the engagement office in Beijing. Please provide the address of ICANN’s engagement office in Beijing. 7. When Lu Wei, Minister of the Cyberspace Administration of China and Incumbent Vice Minister of the Central Propaganda Department, assumed the role of the Chairperson of CNNIC in December 2014, did ICANN take any action to ensure that its global engagement office in Beijing was not being used to carry out censorship for the Chinese government? 8. Do you agree with the Business Constituency’s concern that the term “Chinese registrant” in XYZ’s RSEP is too broad and could be interpreted to allow the extraterritorial application of Chinese censorship law to include residents of Hong Kong? 9. Do you agree that approval of XYZ’s RSEP will place XYZ in a position of having to comply with government-sponsored censorship of domain names for political purposes, which will undermine a stable Internet ecosystem? a. Please describe ICANN’s plans for engagement with China following a potential IANA transition. b. Did ICANN’s post IANA transition plans with China play any role in the decision not to take action against Fadi Chehadé? We appreciate your cooperation in this very important matter and look forward to your response at the stated date and time. Please contact Sean McLean (Senator Cruz), Sarah Seitz (Senator Lankford), and Christy Knese (Senator Lee) of our staffs if there are any questions regarding this request.